Faringdon Free Church Cemetery - Faringdon Community Website. There was a time, not so long ago, when certain London Cemeteries were being sold off for pence. They were deemed to have served their purpose, and were becoming a big problem in terms of maintenance. So the appropriate bodies who were responsible for the cemeteries considered it a wise move to sell off the land for a peppercorn. Much later, the councils involved were to discover how foolish they had been. Over the past twenty years we, as a nation, have discovered how valuable these acres are. Indeed, they have proved to be havens for fast-disappearing wild life, both flora and fauna. With the encroachment of urbanisation, the churchyards and cemeteries of our land are proving to be the last refuges of many rare plants and animalsSome years ago the Arthur Rank Trust at Stoneleigh in Warwickshire decided to set up a project to be known as ‘The Living Churchyard’. Since those early beginnings, burial grounds all over the country have been integrated into the scheme. ‘The core of a churchyard or burial ground embraces many factors which our present generation can relate to. These are a concern for conservation, both for our wildlife and architectural heritage, a chance for solitude, away from the presses and stresses of life, and a desire to find significance in thinking about the mysteries of life and death.’ (quoted from Prince Charles’ introduction to ‘The Living Churchyard’). At the lowest level they can be a place of quiet "green" reflection in a noisy hectic world. 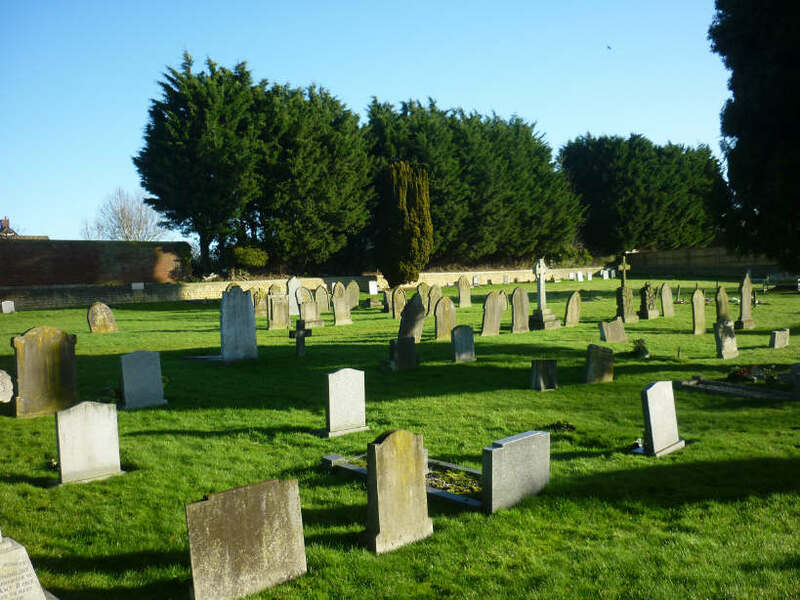 In Faringdon, old Berkshire, but since 1974 in Oxfordshire, we are fortunate in having a free Church Cemetery; We have to go back to the year 1860, when seventeen worthy citizens of Faringdon felt it necessary to purchase a plot of land for the burial of Protestant Dissenters. The reason for this move was because it was sometimes difficult to persuade Anglican parish priests to bury the bodies of those people who had not adhered to, or been members of the national church. In some way, Non-conformists were considered to be what we should call "second class citizens". This may seem a strange notion in our days of ecumenism, but make no mistake, it was so. To put an end to this type of discrimination our seventeen worthy men of Faringdon decided to take the risk of buying a plot of land in Canada Lane, then known as Gas House Lane, because of the Faringdon Gas Company which had its works there. Perhaps It was not the most salubrious of places, next door to the Gas works, but it was a pleasant enough area which had been an orchard, and before that the Old Pound. In the original deed it was described as "All that piece or parcel of land or orchard, situate lying and being in Westbrook, within the manor of Great Faringdon measuring in front to the new road there 132 feet and in depth backwards 242 feet and containing in the whole by admeasurement 3 roods more or less bounded on the north west by the said new road ……". The names ‘of the seventeen original trustees are as follows: Oliver Gerring, William Noad the younger, Samuel Clayden, George Lewis, Arthur Ballard, James Fidel the younger, Joseph Johnson Jeffery, Thomas Chamberlain, James Bell Hands, Charles Oldacre, Thomas Poore the younger, George Face, Thomas James, George Davis, William Taylor, John Abel and John Baker. It is interesting to see names cropping up that are still in Faringdon to this day. So our first trustees set about enclosing the Cemetery with stone walls. No doubt this was cheap enough in those days. The first burials for Protestant Dissenters must soon have followed once the ground had been suitably prepared. At that time there were the following Non-conformist places of worship in Faringdon, the Independent Chapel in Marlborough St, the Baptist Chapel in Bromsgrove, the Primitive Methodist Chapel in Coxwell St, the Wesleyan Chapel in Gloucester St and the Friends Meeting House in Lechlade Rd. How folks must have been relieved to have somewhere to bury their dead, somewhere perfectly legitimate, and not be beholden to the local vicar who might or might not agree to perform the last rites. In September 1997 we qualified for an award and the Cemetery trustees were presented with a certificate from the Oxford Diocese. This was a great boost for all those who faithfully work at keeping the Cemetery in good order. In 1999 the North wall was rebuilt along its entire length of 242feet. This was a major undertaking and only made possible by the goodwill of many people. A special service of Thanksgiving and Remembrance led by Members of the Free Church Cemetery Trust took place Sunday 16th July 2000. The memory of our seventeen original trustees is honoured through the effort and care of the current trustees and local citizens.